Dreamhost is an award-winning hosting provider that is popular worldwide for providing high-performance web hosting and everything else that you need to get your website up and running. Dreamhosting is a bit expensive but scores highly on performance. If you know what you want from a hosting provider and know how to manage it all, then Dreamhosting offers the most bang for your buck. Dreamhost’s best-selling shared hosting plan comes with a free domain name, SSD Storage, SSL certificates and much more. If you subscribe for their 3-year shared hosting plan, you will be charged $7.95 per month, which is the cheapest option to start with, yet a bit expensive as compared to competitors. Nonetheless, there are no upsells or ad-ons to burn a deep hole in your pocket. Dreamhost offers customary multi-level hosting plans, namely Shared hosting, VPS, Dedicated, Cloud and WordPress hosting. Whichever plan you choose, you are guaranteed 100% uptime and 97-day money-back guarantee. Although Dreamhost might charge a little extra as compared to other hosting providers, the kind of quality assurance that you get is priceless. When you host with Dreamhost, you get a free website builder – Remixer – which contains a dozen of templates to help professionals and hobbyists create a customized and responsive web experience for their visitors. When it comes to customer support, Dreamhost comes to your avail without fail. However you may wish to reach out, Dreamhost has its eyes and ears open for the customers in need. The support is provided by email tickets and Tweets 24/7, 365 days a year. Additionally, you can reach out to them via phone or chat or gain insights through an extensive knowledge-base which is accessible by one and all. When it comes to server performance, the SSD powered servers of Dreamhost never fail to impress. Much like Cinderella finds her soul-mate as the shoe fits, Dreamhost’s hourly billed servers will fit your needs the same way. What else can you ask for than a perfect hosting environment, which is scalable to accommodate your growing needs? We can certainly vouch for their excellent webpage speed. The more we are running the speed test, the more we are falling in love with their hosting service. In today’s age, where online attention span is shrinking fast, can you afford to have a slow website? Of course not. This is why webpage speed matters for all of us and even more for the coming generation, which is perhaps volatile to the ‘e’. Here are speed test results speaking for themselves. The magic of SSDs is all over the time and space of modern hosting epoch and will continue to live on. Dreamhost has deployed world-class SSD servers that hold a reputation of being the fastest up to this day. Dreamhost fared better than many hosts based on server response time. Of course, we captured all the action and bytes of data coming through at a lightening speed. So, have a look. Dreamhost has set up their base in Los Angeles with endless stacks of servers to power small and big websites world over. However, there’s no choice of server location. Los Angeles is where your website resides but it can float across the virtual space and can be accessed from any part of the world without compromising speed. Dreamhost is partners with Cloudfare which deploys CDN to bridge the gap between your website and users from across the world. Feel protected with impenetrable security layers that keep online threats at bay. Your website is monitored 24/7; even when you are fast asleep, someone else is watching over your website. Dreamhost offers malware removal tool as well that fixes infected websites and gets the performance back to peaks in no time. Dreamhost has partnered with Cloudfare to use their CDN first-hand and make sure their clients get the most of it in terms of fast website access from anywhere across the globe, apart from infallible protection. If some other website tries to live off your bandwidth, you can stop them by creating .htaccess file on your Dreamhost web server. Doing so will prevent image hotlinking and will keep other websites from draining you off your bandwidth. It’s easy to go about creating .htaccess file. The process involves a few simple steps. You will get that if you are a developer or else you can seek help of one of their experts. Showing your visitors a secure website will help you win their trust, visits and business. Dreamhost provides SSL certificates as standard across all hosting plans. The certificate goes by the name ‘LetsEncrypt’, and you can add it to individual domains in a few easy steps from your control panel. SSL certificate is a key add-on for websites that store sensitive information such as credit card details and other user credentials. You can log into your server from the control panel using various SSH-support tools that enable you to manage your website and troubleshoot issues that might be pulling the performance down. SSH access is fully encrypted. The commands that you type in at your end reaches the other end securely. Two-factor authentication gives an extra peace of mind by adding an extra layer of security around your hosting account. Dreamhost’s two-factor authentication involves your username and password as the first layer and a one-time pass code as the second. We put Dreamhost’s SSD servers to load test and analysed how they performed under extreme conditions. The results are here. Dreamhost is a modern hosting service that comes with a bevy of features to keep you ahead of the rest. With 1-Click instant WordPress install, you can go on to enjoy WordPress-powered web presence without prior experience or expertise up your sleeves. Dreamhost also provides a website builder that goes by the name ‘Remixer’. It’s easy to use and offers endless possibilities to shape and boost your online presence. SSD cloud servers are worth the second mention. Your website will run faster than the user could click and will be covered with 100% up time guarantee. As far as the security is concerned, let your worries go away with Dreamhost’s anti-spam policy. And if you register your domain with Dreamhost, you get a domain privacy feature to protect yourself from those spying eyes. DreamHost engineers have done a fantastic job at developing a proprietary control panel which gives customers everything that they need at their fingertips. There are several other features on offer, which are easy to use, too. Automatic backups and restores are included in managed services by Dreamhost. The price will be included in what you pay as an initial cost to purchase your hosting plan. With easy 1-click rollbacks, you can restore your website to a point back in time as you wish. One of the biggest perks of hosting your website with an established service provider is that you get a lot of choices and most probably end up with the right one. Dreamhost offers multi-level hosting service which caters to websites of all shapes and sizes. For performance-oriented clients, Dreamhost lays out the most powerful Dedicated and VPS plans, while for those who have just started out, a Shared plan is the best bet. Plus, there’s a bevy of options in between. Dreamhost creates a scalable hosting environment for personal and business websites, and also offers various apps and integrations so that you can grow your online presence in any which direction you want. Continuing to surprise clients with regularly updated apps, Dreamhost always keeps customer-satisfaction first. What brings you to Dreamhost out of all that you have learned so far about this host? Whatever it may be, but if you are thinking to transfer your website from a different host to Dreamhost, there’s a small one-time migration fee that would add to your hosting expenses. The migration rates for Shared, VPS and Dedicated plans are flat $99. That’s too much to ask for the migration assistance but considering the fact that your website will be moved to a better place in under 48 hours and you do not have to move a muscle, the price is justifiable. However, you do not have to pay anything should you handle the migration yourself. Upgrade your website in little ways to boost its performance or get into a high-performance plan for the all-new experience, Dreamhost’s scalable hosting environment lets you do that and much more with a few clicks. You will not get all things unlimited with their basic shared hosting plans, but the advanced ones will surely give you unlimited resources to manage your website. With unlimited websites, traffic and SSD storage, you can pull all the stops and run your website with endless growth possibilities. Speed matters, especially in today’s fast-paced digital world, where you lose if you don’t keep up. Dreamhost’s SSD storage boosts website’s performance by 200% and guarantees 100% uptime. SSD storage is available on all hosting plans offered by Dreamhost. However, for unlimited SSD storage, you will have to upgrade from the starter to an advanced plan. NGINX powers millions of websites across the globe by making them faster and securer. In the same way, HTTP/2 delivers a dramatic speed boost to websites and improves SEO. Dreamhost supports both, which means you can go with any which web server according to your personal preference or specific requirements. Dreamhost offers an all-round customer support, 24/7/365, through email, Twitter, Live Chat and phone. Not only this, they also offer free access to their extensive knowledge-base that answers all your hosting-related queries based on the key-phrase you enter in the search box. Dreamhost regularly update their knowledge-base to provide clients and prospects the information they might need before an upgrade, buying a new feature or installing a web application. For instance if you want to look up a term related to hosting, enter the term in the search box of their blog section and get relevant results instantly. In case you are unable to find what you are looking for, their live chat support is always at hand. Dreamhost’s live chat is an instant rescuer at your beck and call, a solution at hand or however you define it. Their live chat is highly responsive and offers concise answers to save your time. Live Chat comes in handy when you are desperately looking for an answer but can’t make a phone call or can’t wait until your email is returned. Dreamhost’s agents answering your phone call are trained to provide Tier II support, and they have complete knowledge of the field, which means you get instant answers without going through multiple call transfers from junior to senior associates. Their phone support is available 24 hours a day, 7 days a week. Email is one of the best ways to get in touch with customer representatives if you are in no hurry and want detailed information on a hosting-specific topic. Email ticketing system is also helpful when you want to escalate an issue and get every detail of the matter documented. Again, Dreamhost’s email tickets are received and resolved by Tier II customer executives. Dreamhost has built a friendly community of hosting users that come together at a common platform to share their experiences, which might be an answer to someone else’s problem. If you are looking for opinions and different perspectives on a certain feature or an upgrade, this is a place to find verified users with real experiences and advice. Dreamhost promises a zero-risk hosting service with no strings attached. The billing process is fair and straightforward. You will be billed for the hosting tenure of your choice, whether monthly, yearly or 3-yearly. To ease you into their hosting eco-system, the company offers a 97-day money-back guarantee, which is a strong assurance for skeptical beginners. If you are not happy with the service, you are free to walk away – no questions asked. However, if you cancel your yearly or 3-yearly subscription after 97 days, there’s no provision for pro-rated refund. With their starter shared hosting, Dreamhost offers an affordable way to start small. The price point inevitably grabs the attention of business owners who want to host a basic website that sits there and says ‘hello’ to the visitors. To meet your advance hosting requirements, you can opt for the Shared Unlimited plan should you not mind forking out a few extra bucks. 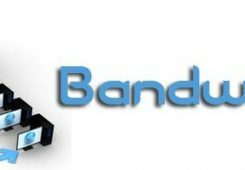 Considering their VPS and Dedicated plans, the prices are highly competitive and shouldn’t disappoint you with available features and flexible add-ons. Like the majority of hosting providers out there, Dreamhost does not offer a free trial. Instead, the company extends a 97-day money-back guarantee across all hosting plans, which pretty much makes up for it. Since you get a full refund upon cancellations within 97 days, consider it a free trial with a refundable security deposit. The renewal rates remain the same unless the overall hosting prices go up. If a website does not grow as expected in the first billing cycle, most website owners decide to quit and strangle their growth possibility just to avoid higher renewal rates. With Dreamhost, you can continue to grow your website into the subsequent billing cycles without apprehending jacked up renewal rates. Dreamhost offers the best value for money and tries to fit as many features as they can in their hosting plan itself such that the customer is never forced to make purchases outside the chosen plan to rustle up bare essentials for their website. When you pay a higher premium in the first place, rest assured that there will be no surprises later. A promise of 97-day money-back guarantee might be difficult to keep for any host but Dreamhost. The company stands behind its services and is ready to refund all the money should you cancel the subscription within the first 97 days. Dreamhost hosting is a complete package that provides all levels of hosting to cater to a diverse customer-base across the globe. From basic shared plan to premium shared and high-performance VPS to Dedicated, Dreamhost puts on a variety that sells for all the right reasons. When it comes to features, Dreamhost understands the current scenario, what customers want and what should be delivered first and what could be left for additional purchases. The company offers SSL certificate across all hosting plans, starting from the Shared Starter which you can buy for under $3. Further, there’s 1-click WordPress install to give you a quick-start on your blogging website. 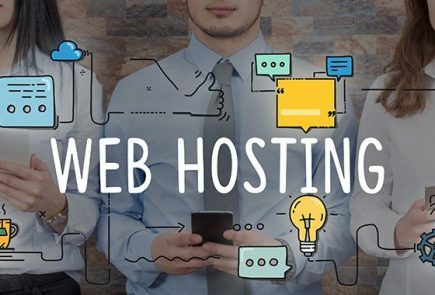 Dreamhost leaves no stone unturned when it comes to providing website owners a solid hosting plan to accommodate their needs according to their budget. With Dreamhost, you have access to Shared, VPS, Dedicated and Cloud Hosting plans, as well as WordPress hosting to support blogging websites across the globe. Dreamhost offers its clients a scalable hosting environment that grows with them, which means you can upgrade anytime you feel like it. If your website requires additional bandwidth and disk space all of a sudden or the need arises gradually, let your hosting provider know whenever you are ready to upgrade. Your website will be moved to a more comfortable plan without undergoing any downtime. Their Shared Hosting caters to beginners and tech-savvy clients alike. It’s a good idea to start with their basic starter plan and upgrade later to Unlimited Shared plan. Your hosting needs will be taken care of so well that you will not want to come out of the Shared ecosystem anytime soon. The Unlimited Shared plan is a bit expensive as compared to advance plans of other hosts; however, the extra bucks spent are worth the value you get in return. Dreamhost offers Shared hosting that gets you started and keeps you going for a long time. Apart from this, Dreamhost offers an easy-to-use control panel that is fine-tuned based on the customer feedback taken over the past two decades. Their 100% uptime guarantee accompanied by award-winning customer support is difficult to match, let alone surpass. 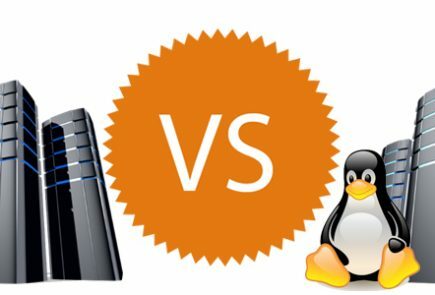 VPS hosting can bring a day and night difference to your website’s performance by allocating dedicated resources and undivided bandwidth to use. Dreamhost’s VPS hosting is fully scalable when it comes to RAM and Storage while everything else is unlimited or more than sufficient for your website. The same easy-to-use control panel is carried on to VPS hosting, but with more powerful dedicated servers warming up behind the interface. When you buy a VPS hosting package, you get insanely fast SSD storage, SSL certificate for indestructible encryption and many other privacy and security features to strengthen your online presence. If you want dedicated resources to your website and need an expert to take care of just about everything that goes around your hosting, then don’t look beyond Dreamhost’s fully managed dedicated hosting service. With full root and shell access, your developer can manage your servers on your behalf so you can focus on what you do best. Dreamhost offers 100% uptime guarantee, which is the need of the hour for websites with high traffic and high revenue. The only benefit of choosing Dreamhost’s dedicated hosting over competitors’ is that your website will have enough room to grow with no constraint on RAM, bandwidth and disk space. There’s only one plan under dedicated hosting, and let’s have a look at some of the features to find out why this plan should be the only one for you. Cloud hosting is one great way to optimise resources available to use. With Dreamhost, you can quickly take your app online and choose to be billed on a monthly or hourly basis. Their cloud servers will scale with your website, and you have to pay only for the resources you use. Dreamhost offers a choice of three plans under Cloud Hosting, all of which offer free bandwidth and 100GB block storage. Here’s what you get with Dreamhost’s three different Cloud Hosting plans. Dreamhost’s website builder goes by the name Remixer and offers endless possibilities to build your unique website without writing a single line of code. In fact, there’s no coding at all. You can rustle up a website by choosing from a range of template and then build on it using custom layouts, fonts and industry-specific images to get your website talking to your audience in minutes. Unless you want every building-block of your website custom made, Remixer is the answer to your website building woes. Remixer allows you to build as many websites with as many pages as you want, under the same plan. Once you build your website, the next step is on-page SEO, which includes titles, meta descriptions and landing page content. Remixer makes updating and editing content a piece of cake for you. To manage your WordPress website efficiently, Dreamhost presents a hosting plan that’s designed and tailored to meet your requirements, which are unique to WordPress platform. With performance as standard and a bevy of plug-ins available to install, an exclusive WordPress hosting experience awaits you at Dreamhost. You can choose their starter pack for $2.59 a month or upgrade to performance plan for $16.95 a month. The difference in price is justifiable considering the big leap in features. Dreamhost provides custom domain names with various extensions and a bevy of standard features to enrich your experience. With unlimited subdomains, you can expand your online presence in different verticals. For example, service1.yourdomain.com, service2.yourdomain.com and so on. Also, with flexible auto-renewal feature, you can control whether you want to renew your domain automatically or not. If yes, you will be charged upon completion of the billing cycle. If you wish to round up all your hosting needs in one place and want no nonsense coming your way, Dreamhost is the like-minded hosting provider you can repose your trust in. Their managed services and dedicated customer support are an icing on the cake. Plus, you will get unmetered storage and bandwidth to accommodate the growing traffic and data on your website, limited only by the plan you may be using. With 100% uptime and 97-days money-back guarantee, Dreamhost clearly rules the roost and offers the best value for money. SSDs on all plans: One of the immediate benefits that you get from a premium hosting provider. 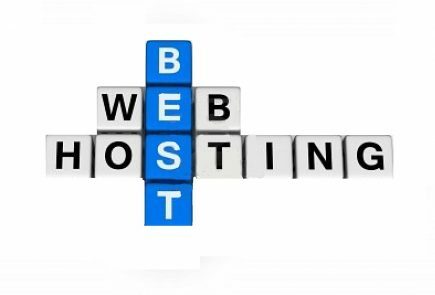 Regardless the hosting plan you choose, Dreamhost ensures excellent performance of your website. 100% Uptime: the company stands behind its services and promises that for every 1 hour of downtime, the customers get the amount equivalent to one day’s worth of hosting credited to their account. Q1: Is Windows hosting an option with Dreamhost? Ans: Dreamhost does not offer Windows hosting. However, there are several hosting plans that are available in their secure and reliable Linux-based environment. Q2: Does Dreamhost offer unlimited disk space and bandwidth on all hosting plans? Ans: Starting from their basic shared hosting to advance VPS and Dedicated, Dreamhost offers unlimited features such as bandwidth, superfast SSD, unlimited subdomains and traffic to name a few. Q3: Is there any Site Transfer fee if I move my website to Dreamhost? Ans: If you want Dreamhost to carry out the transfer for you, a one-time convenience fee of $99 will be levied. The fee comes with an assurance of fast and secure site transfer within 48 hours, with zero downtime. However, if you can transfer the site without help, there are no charges whatsoever. Q4: Do I get SSL certificate with Dreamhost? Ans: As a standard security feature, Dreamhost offers SSL certificate across all hosting plans so that you have a peace of mind that every transaction taking place on your website is fully encrypted and protected against unauthorized access. Q5: Can I host Magento website on Dreamhost? Ans: Yes, you can install Magento on Dreamhost and enjoy a stress-free online presence thereon. However, due to Magento being a resource-heavy platform, it is recommended that you host your Magento website on either Dedicated or VPS plan. Q6: Does Dreamhost create automatic back ups of data? Ans. Yes, Dreamhost takes automatic backups of your website, and you can control the frequency of backups to enable, daily, weekly or monthly automated backups. Q7: How many email accounts does Dreamhost offer? Ans: Dreamhost offers unlimited email accounts on all hosting plans, from Shared to Dedicated and various levels in between. Q8: Will I get CDN with Dreamhost plans? Ans: Dreamhost lets you choose from a variety of CDNs and integrate with your website to deliver faster browsing experience to your end users. Q9: Does Dreamhost offer Money-back guarantee? Ans: Dreamhost is unbelievable when it comes to offering money-back guarantee. With a staggering 97-day money-back guarantee, you can be fully assured that your money is safe with them and that you can opt out anytime you feel something’s not right. Q10: Does Dreamhost offer reseller hosting plan? Ans: With a Reseller account, not only can you cater a complete hosting experience to your customers but can also manage their accounts yourself. From billing your clients to providing technical support, everything must be handled by you. Q11: How many programming languages does Dreamhost support? And: Since Dreamhost does not provide Windows hosting, any programming language exclusive to this operating system will not be supported. Q12: How can I reach Dreamhost’s Customer Support? Ans: Dreamhost’s friendly customer support is available round the clock via phone, email and live chat. 100% Uptime: the company stands behind its services and promises that for every 1 hour of downtime, the customers get the amount equivalent to one day's worth of hosting credited to their account.